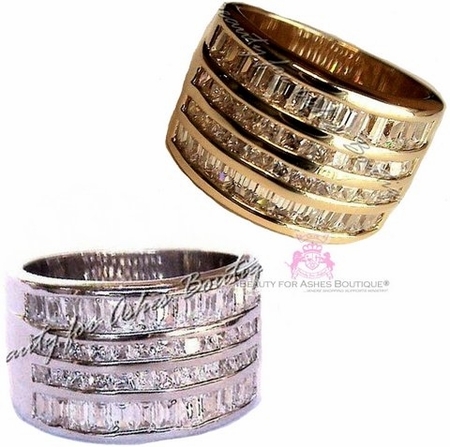 Full of clear cubic zirconias and white gold or gold plated edging! Sizes available are listed at the top of the listing in the drop-down menu. Due to the wide design of this ring, we recommend a larger size. Some sizes may be on backorder and will ship at a later date.